In recent weeks, both Netflix and Disney have been threatened by movie pirates who demanded a ransom in exchange for not leaking big ticket films and shows. In both cases, the companies have refused to pay. The producers of India’s most successful film of all time were also the victims of blackmail, and six suspects were arrested this week. 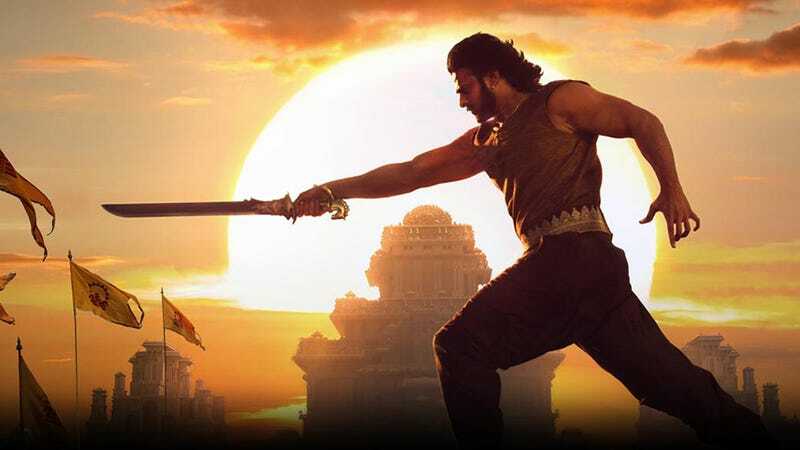 You may not have heard of Baahubali 2: The Conclusion, but it’s a big deal. It’s a mythological action movie that has grossed $184,077,677 worldwide. But what’s perhaps most impressive is the fact that it managed to break through in the US market which hasn’t historically been receptive to film productions from India in the theater. Baahubali 2 managed to make it into the top five weekend grosses while showing in relatively few theaters. On the same day that TheDarkOverlord leaked new episodes of Orange is the New Black, the Indian production company Arka Mediaworks Entertainment Ltd was contacted by someone identifying themselves as a “film anti-piracy activist.” This person informed executives that high-quality leak of the Baahubali 2 had been acquired by another party that was seeking ransom in exchange for keeping it offline. The Arka execs contacted the police, who encouraged them to get evidence that the leak was real. The pirates supplied a hi-def clip to Arka that contained a watermark used to identify the location where the film had been delivered. Normally, this would only indicate that cam recording was made in that theater. But in this case, the clip was coming from the actual digital transfer. So, the culprit had to be involved with one theater, and they had to have the encryption key that is used in digital distribution. After an investigation, police arrested the theater owner, a man suspected of making the call, and four suspected co-conspirators. Two of the men were arrested in 2015 for pirating Bahubali: The Beginning. In March, pirates demanded a similar ransom for Boss Baby. The ransom was paid, but it led investigators to the alleged culprits. What we’re seeing is a trend of people putting their freedom at risk just to be either denied money or getting themselves caught. Outside of film leaks, ransomware has become a billion dollar industry. But the massive WannaCry ransomware attack has been generally considered a failure. It caused huge problems around the world, but the attackers have thus far only made around $100k. Many victims decided to just not pay. Now, the hackers behind it are some of the most wanted people in the world and they don’t have a whole lot to show for it.